The BBC today unveiled its vision for the next generation BBC iPlayer, evolving its popular video on-demand service for audiences in the future. The new service will see it move from a broadcast TV catch-up service to the BBC’s primary digital entertainment destination. In the future, BBC iPlayer will introduce more programming made exclusively for online audiences for much-loved BBC shows like EastEnders, Doctor Who and Strictly Come Dancing, and themed collections from the BBC’s Archive. As audiences are increasingly accessing BBC content at a time and on a device that suits them, the BBC will make it easier for fans to watch what they want, when and where they want to, and introduce the ability to pause and resume TV viewing from one screen to another. BBC iPlayer will also introduce the ability to create personalised channels based on your preferences. BBC Director-General, Tony Hall, says: "The new generation of BBC iPlayer is set to transform our relationship with audiences. In the coming years, for many people BBC iPlayer is going to be the front door to our programming and the experience they have is going to be a world away from that of a traditional 'one to many' broadcaster. “It will be a relationship where we provide our audiences with what they want, when and how they want it. And crucially through enhanced interactivity, they will also be able to tell us what they think of these programmes and services too. That conversation excites me hugely as it means our audiences won't just receive the programmes we make, they will contribute to how we make them as well." 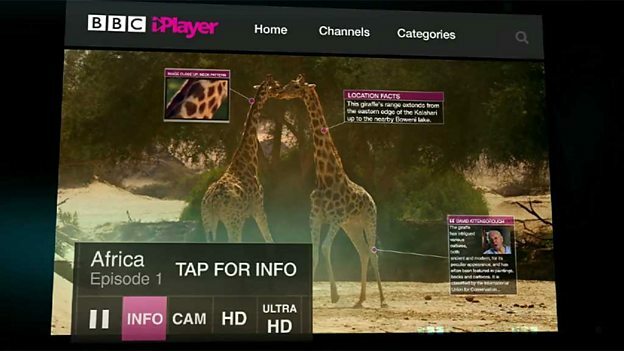 BBC iPlayer will relaunch in the first half of 2014 as the first step towards this new vision. Since its launch five years ago on Christmas day 2007, BBC iPlayer has become one of the UK’s favourite brands, with a record-breaking 2.32 billion programme requests in 2012 and 234m requests in August alone. BBC iPlayer is now available on over 1,000 devices and platforms, and in August, over 30 per cent of programme requests were from mobiles and tablets.